Our factory belong to CSR group--the biggest railway industry group in China, has 20000ton casting steel capactity a year. We have high-tech team work, engineers are more than 10% in our HR structure, this makes us good R&D ability. Our oversea market expand very fast. 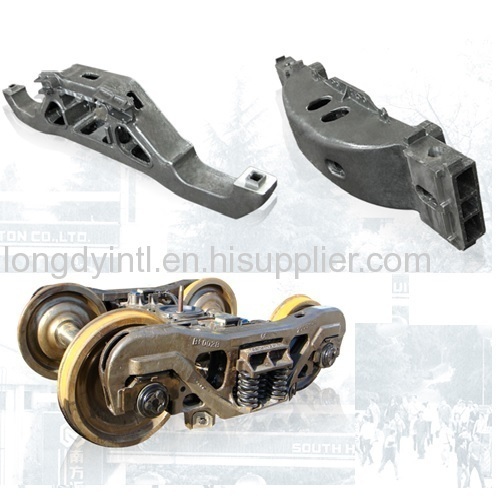 We have successful developed Russian railway swing bolster, side frame, South Africa swing bolster, American Yoke, Frech subway bracket since 2006. We maintained long term cooperation relationship with US GE company and Russian railway, exports accounted for 40% of the total sales value. 10 ton electric arc furnace, 60ton resin sand mixture machine, auto resin sand molding line, core setting robot, automatic sand box closer, multiple type/size CNC center, large CNC milling machines and other machining equipment and high tech heat treat line. 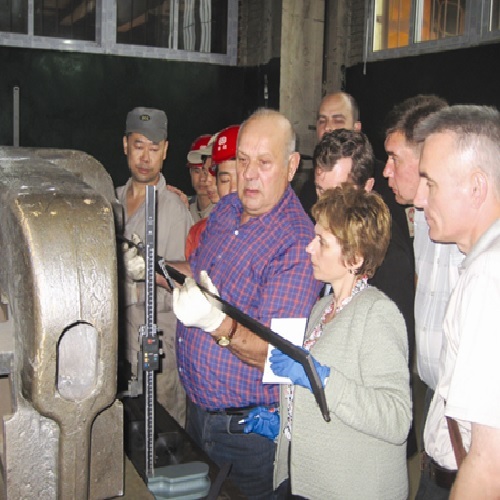 has ISO14001:2004, ISO9001:2000, OHSAS18001:1999 certifications and AAR certification for US railway tension pin.